A couple of weeks ago, I received a mystery email. Within it, contained a complimentary ticket to the annual Brighton Music Conference, a two-day event specifically about electronic music. It's not really my thing, but I decided to get on the train and go along it to anyway. It also gave me a chance to explore Brighton, a city I'd never really spent that much time in. The panels I wanted to see at the conference didn't start until 1pm, so I headed to the beach after getting to Brighton at 11am. The weather was beautiful so it was perfect day to sunbathe. 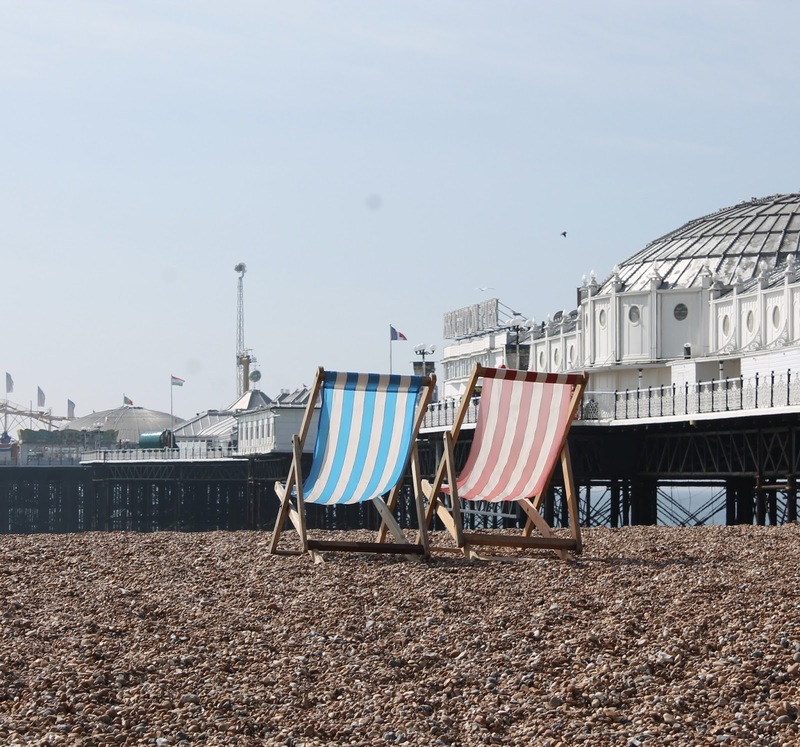 After an hour on the beach and a quick stop at Costa for lunch, I headed to the Brighton Dome to join the conference. The first panel was about getting a job in the industry, hosted by freelance music journalist and editor Marcus Barnes and also featured Amy Jayne of Hospital Records, Paul Gibson (a bookings and promotions manager) and Terry Ryan who's head of A&R at On The Rise. The main message being taken away from the panel was that it's almost impossible to get a job in the industry unless you're willing to work really hard and be ready for failure sometimes. First panel done, there was time to explore the venue. Most of the stalls around the theatres contained DJ equipment (something I wasn't particularly interested in) but I took some good pictures of it all. There was also a couple of headphone brands there that I tried and picked up a few leaflets about, as well as a bubble theatre (the pictures below will give more of a visual) where a DJ kit demonstration was taking place, which was awesome. All the loud music and demonstrations gave me a headache, so I went for a break outside before the last panel I wanted to attend. I sat in the park opposite the Brighton Dome and wore my New Clubmaster Gold Oil sunglasses that I received from Cheapass Sunglasses (they're just what I needed and a perfect fit - pictures below). Also if you would like a pair of your own, you can check them out and other great styles here. Heading back into the conference, the final panel I attended was the Women In Music Q+A, where those speaking included singer Ayar Marar, blogger and News Editor of DJ Mag Charlotte Cijffers and manager Katy Ellis. They discussed how each of them got into the industry, the perks and downsides of their jobs and what it takes to work in music - the main point being that you have to love music and be passionate about what you're doing in your job. I also got to speak to Charlotte and Marcus after both of the panels and get their email addresses to send my blog URL to and get feedback from, which is an amazing added bonus. 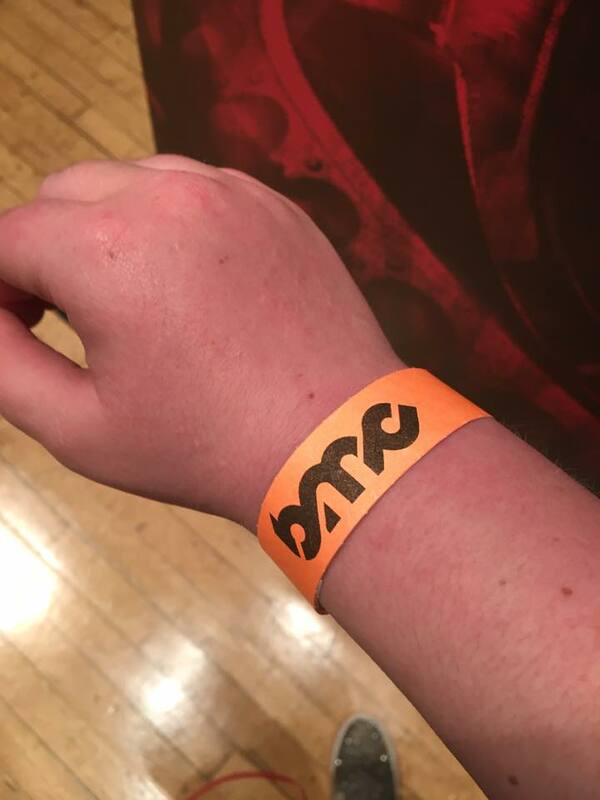 I'd just like to finish this post by saying a huge thank you to the organisers of the Brighton Music Conference for my ticket and letting me take photos inside the venue. I had a great time and learned a lot about the industry, as well as meeting some great professionals. Go and check out the Brighton Music Conference on Facebook and Twitter to see their updates of the day and about the conference next year. Don't forget to follow me on Instagram and 'Like' my page on Facebook to keep up with my posts. *PR samples were sent. Opinion is completely my own.